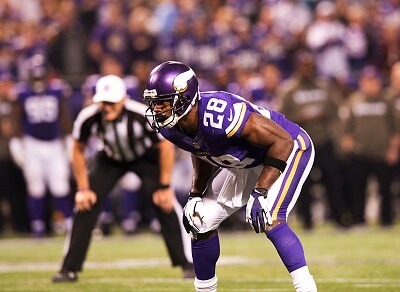 Get notified when Minnesota Vikings tickets are available! The Minnesota Vikings are a professional American football team from Minneapolis, Minnesota. In the year 1960, they joined the National Football League but didn’t play until the following year’s season. After a few relocations, the Vikings now play their home games at the U.S. Bank Stadium in downtown Minneapolis. Their colors are purple, gold and white and they have played in 28 playoffs in their career. You can be one of the screaming 70,000 fans that can be seated in the U.S. Bank Stadium by using the links above to get your very own Minnesota Vikings tickets.